There was a party in my garden last night but, rather than face the debris, I got out of bed at dawn, headed out the door and walked up the road to the market instead, passing St Anne’s the Brazilian church where I could hear the young Brazilians, who had been up all night partying, still singing for joy. 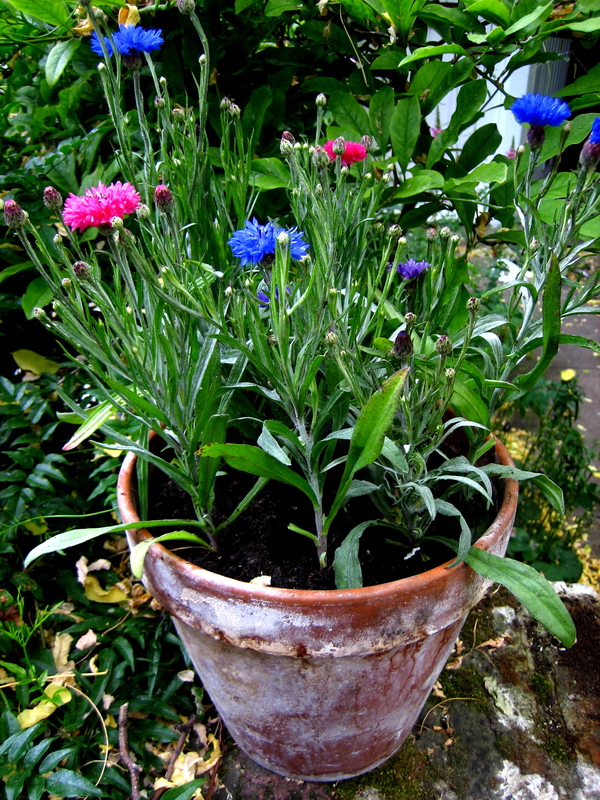 For a mere £3.50 I bought a tray of sixteen assorted Cornflowers, sufficient to fill two pots to stand on an exposed sunny wall and give me a display of flowers in soft blues and delicious strawberry pinks for the rest of Summer. Almost nothing speaks of high Summer in England as vividly as the Cornflower that I think of scattered among wild Poppies in meadows of golden corn. I remember them from the “Cottage Garden Mixtures” of seeds that I used to buy for my childhood garden. This domesticated variety comes under the charming name of Batchelor’s Button and I love the subtle complexity of the snowflake patterns adopted by the flowers, each one presenting a different intricate delight, perfectly counterpointed by the grey-green foliage. What a delight to see this post. Years back as a teenager, I had a pair of Capezio ballet flats in the color Cornflower. 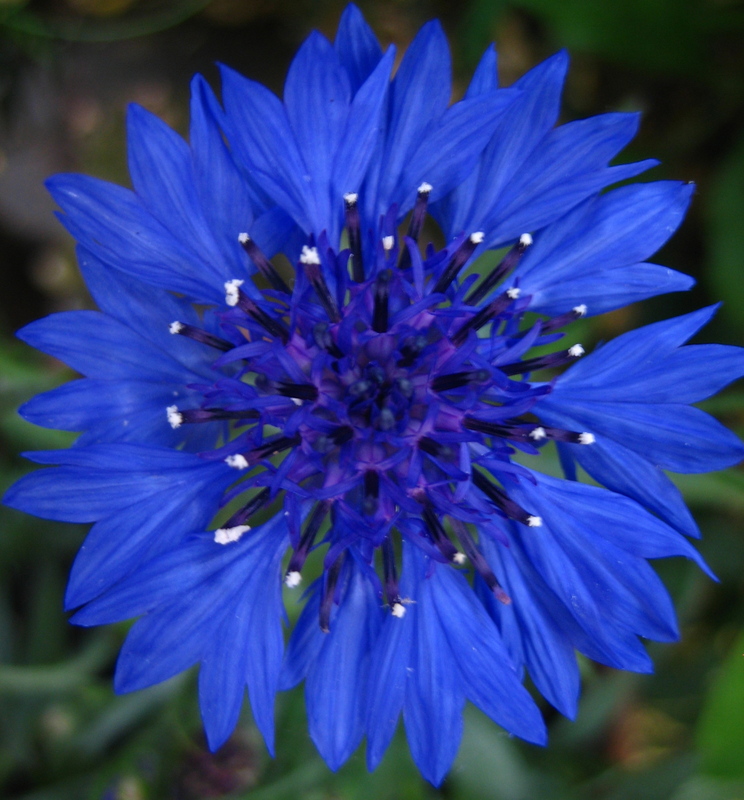 I had never seen an actually cornflower at that time, but so loved that particular blue. 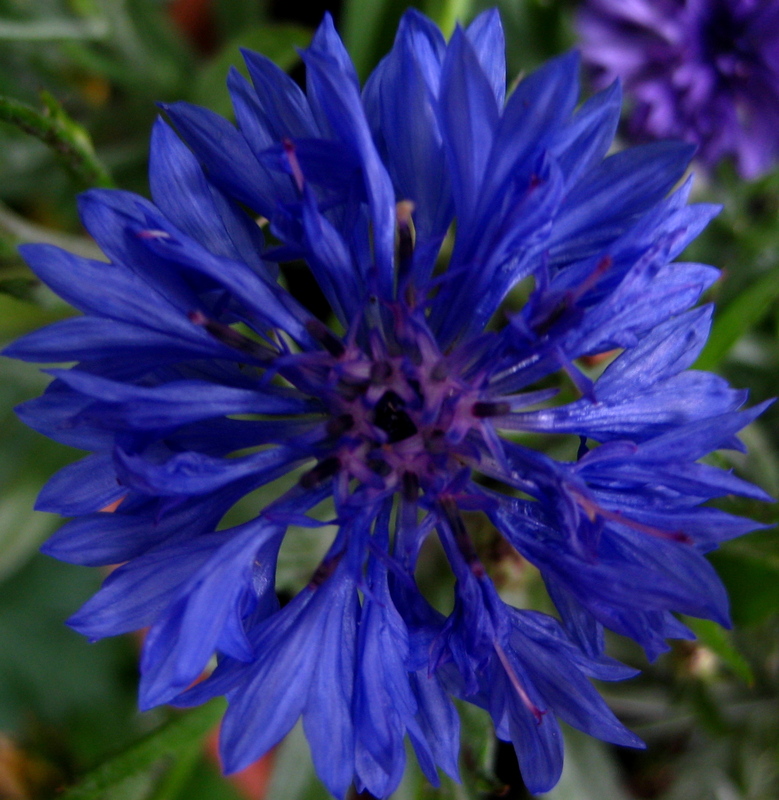 Of course, I did eventually see gardens with cornflowers, and my love of the color has just grown and grown. 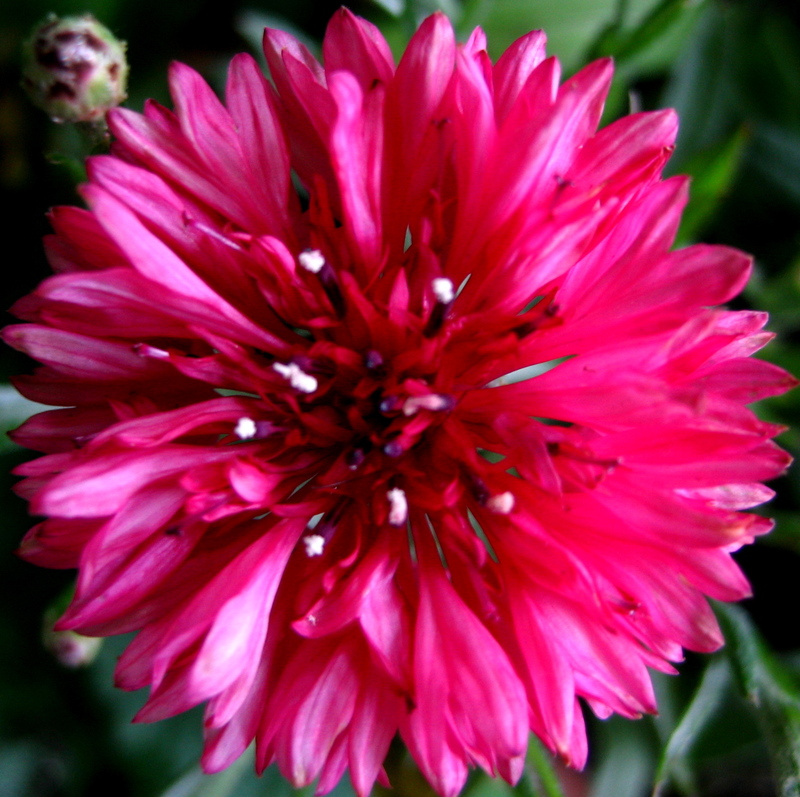 I know that you’ll love seeing those flowers every day! Thank you for getting me signed up again.